Pick a landing spot and grab a gun, it’s time to play Apex Legends. 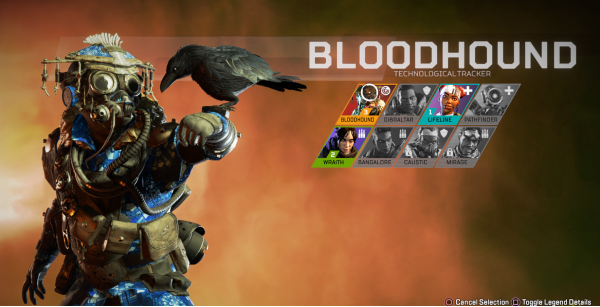 In this guide, we’ll be looking at the best character tiers, guns and more, as well as those burning questions you have about Apex Legends. Each Legend has a Passive, Tactical and Ultimate move that you can use to your squad’s advantage. The Legends are versatile and suit different play styles and skill sets. Whether you’re more of a passive player who enjoys a support role or the kind who likes to go in guns blazing, you’ll find your feet quickly with each Legend. Apex Legends offers a training ground where you can try out every gun that you’d find in a match. There’s a good mix of shotguns, LMGS, pistols and assault rifles to get your hands on, so we compiled a list of what we thought are the best guns available. You might have noticed a prompt appearing if you manage to knock an opponent down. Each Legend has their own finishing move that you can use to defeat an opponent with a bit of flair. More finishing moves can be unlocked through loot boxes or microtransactions, allowing you to customise your Legend. 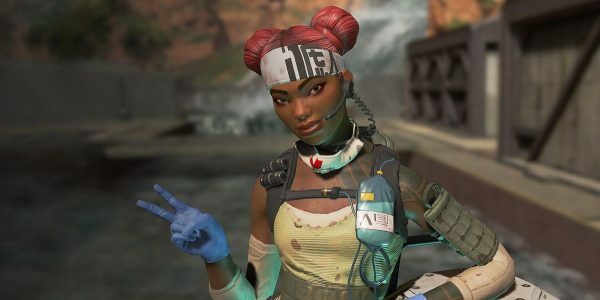 There are several tiered items you can get your hands on in Apex Legends. Epic, Rare and Legendary loot can be found throughout the map, but higher tiered loot will be more readily available in the closing rounds of the match. Loot can be white, blue, purple or orange, with orange gear being the best of the lot. Look for glowing blue areas on the map, as you’ll often find the best loot there. You can also land on the supply ship at launch, though you’ll need to be quick. Be mindful that you might be the last one to drop to the map, so be armed and ready. When you’re choosing your landing spot, you’ll see a blue column rising from the map. You’re guaranteed to find a top-tier weapon. If you do manage to get your hands on a Kraber-1, use it sparingly as there is very limited ammo for it and it takes an age to reload. If you’re low on ammo or need an item, highlight the item in your inventory wheel and ping it. That way your squad will know what you need and will hopefully ping you back with a location. You can also ping any loot you find to your teammates, which is especially useful in the opening minute of a match. If you’re lucky enough to find a Phoenix Pack during a match, make room for it in your inventory. You’ll be back in the firefight much quicker and it can make a huge difference if you’re in the final three or four squads. Each Legend comes with a unique set of moves you can use to your advantage throughout the match. While we’ve already talked about what those moves are, it’s not always clear how each Legend’s ability interacts with the other. Bloodhound has the capability to see through smoke, gas and even through Mirage’s cloaking and decoys, so using Bangalore’s smoke grenade coupled with his hunter move makes for very exciting and deadly gameplay. Wraith’s portals can be used both as an offensive and defensive move. Friendlies and enemies can follow you through a portal, so if you are chatting with teammates, let them know not to follow. You could then portal to a cliff edge or off a bridge, removing an enemy from the hot zone. She can also drag downed enemies through portals. She also has another useful ability where she’ll alert you when someone can see you or a teammate, which you can communicate to your squad by pressing down on the d-pad. While you can’t injure teammates with bullets, Gibraltar’s airstrike does not differentiate between friend and foe. Caustic’s gas might not inflict any damage upon friendlies, but it will disorientate them. Pathfinder’s Survey Beacons are very useful if you want to plan ahead as they’ll show the ring’s path, so you won’t be caught out. Lifeline can call on a supply crate which comes with ammo, items, medkits etc to get you back in business. While she revives teammates faster than other Legends, any team member can revive a downed squadmate. You can also carry two banners to the respawn point to get your whole squad back quickly and easily. There are a number of items you can pick up that will recharge your shields and replenish your health, but you’ll need to remember to use them. For those who main Gibraltar, you’ll know that his shield dome shield will only survive a minimal amount of damage, so you’ll need to look for cover quickly. Take the time to hide and recharge your shields regularly and remember to use your grenades and throwing stars. Even if Mirage is invisible, he’ll still take grenade damage, and lobbing a well-timed grenade or star could interrupt a finishing move. If an area is swarming with enemies and you want to get away fast, holster your gun. You will run and climb so much faster. If you’re downed, activate your knockdown shield and crawl your way through doors or portals and ping your squad to let them know you need assistance. Finding the best weapons and orange gear sets you up nicely for a victory, but always remember to ping an enemy’s location so that your team is never caught off-guard. 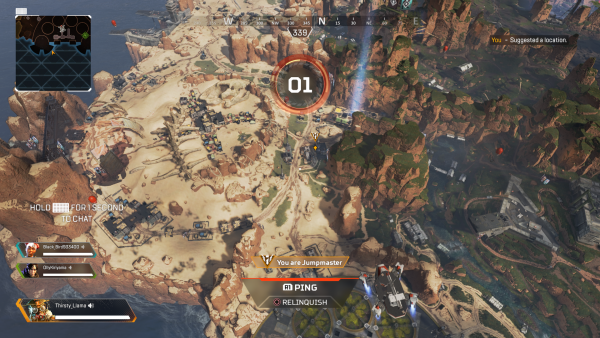 We looked at some of the most frequently asked questions about Apex Legends. Respawn is already looking at ways to build upon and improve Apex Legends and the battle royale genre in general. We’ll keep you up to date with all the changes over the next few weeks. There’s a 1-in-500 chance you’ll find one of these Bonus Heirlooms in an Apex Pack, that come with a new banner, quip and melee skin.